Where stylish women dress their bump! We are always keen to learn more from our customers and we welcome any feedback whether it is positive or negative. We are grateful for any time you spend providing us with the knowledge we need to ensure our customers are completely satisfied – we want you to return to the site and to recommend us to your friends and family. If you have any questions or feedback, please do not hesitate to contact a customer service member of the MINA ROE team, who will be delighted to answer any questions you may have. We will do our best to reply to your message within 24 hours upon receipt, thanks for visiting our online store! For your convenience we have listed and answered your most frequently asked questions below; please take a minute to see if your question has already been answered before contacting our customer service. In the event that your question is not listed or you need more information, please do not hesitate to send us an email. We look forward to providing you with a consistently high quality customer experience. No, this is unfortunately not always possible once the order have been approved. To ensure a fast delivery, we will send your order directly to the warehouse for packing and distribution. However, if you are not satisfied with your purchase once you have received it, you can return it. Why have i not received any order confirmation? Please be aware that it can take up to 2 hours before you receive an email confirming your order. If you have placed an order and still have not received any order confirmation within 2 hours from the time you placed your order, please contact our customer service. Yes, you can exchange your item within 5 business days, as long as the new item has not been worn or damaged and is in its original packaging with all tags. If an item is missing from the parcel although it is stated on your invoice, please contact our customer service. Please state your order number and the item number or product name of the missing item and we will of course help you. What to do if i receive a faulty/incorrect item? Please return the faulty/incorrect item to us. When we have processed the claim, you have the option to receive a full refund or to do an exchange. Card or Paypal transactions will be charged as soon as the shipment leaves our warehouse. If your credit card is authorized, you will receive an order confirmation by email, confirming that your order has been received. If your card is not authorized, no payment will be made and you will get notified immediately on the screen that the payment was unsuccessful. Please remember that even if a payment is not authorized, some card issuers may still reserve the money meaning you cannot use the funds for a short period of time. Will i be charged any extra fees? No, you will not be charged any extra fees by MINA ROE. However, if you are not in the UAE you will be charged for the shipping costs. All charges will be shown at checkout prior to submitting payment. Please note that some banks do charge an extra overseas transaction fee. This depends on the bank's policy and the fee is not issued by MINA ROE. The overseas transaction fee will not be refunded by MINA ROE. For more information, please contact your bank. Yes. Secure Payment is our top priority. We wish for our customers to feel entirely safe when shopping at MINAROE.com We do our best to secure your personal information. Furthermore, all credit card holders are subject to validation and authorization by both the card issuer and our secure checkout gateways to maintain security and prevent fraud. We deliver worldwide within 2-5 business days. How long for my delivery to arrive? Delivery generally takes 2-5 business days, it might be longer if there’s a public holiday or natural disaster around the time order is placed. Please refer to our shipping and delivery for more information. Shipping within the UAE is free, all international orders will be charged a flat rate of $9.99 USD. Please refer to our shipping and delivery for more information. You will receive a shipping confirmation by email that will include a unique tracking number that you can use to track your parcel. You can also log in to your account to obtain this information. Do i have to pay customs and / or import charges? All customs and import charges are included in the price of the order for most countries. If for some reason, your parcel is being held at customs please contact our customer service for assistance. Do you deliver to PO Box addresses? For security reasons, we unfortunately, cannot ship to PO Box addresses. My parcel is damaged - what do i do? Always check the parcel is okay before accepting receipt of your delivery. Do not accept receipt of the parcel, if it turns out to have been damaged during transportation. The parcel will then be returned to us, and we will refund you the full amount of your order. Log into your account and complete the Return Request within 5 days of receiving parcel and ship within 7 days. Customers are given a maximum of 30 days to return items to us. Place the item back in the item packaging. Print, fill out and sign the Return Note (this is attached to your invoice). Place return note and item in the return parcel (you can re-use the original bag/parcel). Domestic Orders: Stick the prepaid return label on the parcel. International Orders: We do not offer free returns at this time (unless Mina Roe made an error in your order), please choose a secure courier and provide tracking number within 48 hours of return approval. Make sure to ask for a receipt, as a proof, that you have returned a parcel (for returns with UPS you get no receipt. Make sure to note down the return tracking number). Return costs will not be deducted from your refund. We will send you a confirmation by email as soon as we have received your return. From the day we have received your return, we will process it within approximately 14 days and issue the refund or exchange the item. When we have processed your return, we will issue the refund within 90 days. Please note, original shipping charge is non refundable. What to do if i have been refunded the wrong amount? If you think you have been refunded the wrong amount, please contact our Customer Service and state your order number and the required refund amount. Please note: We do not charge a return shipping free for domestic orders, however the original shipping cost will not be refunded. Why were the shipping costs not refunded? If you are returning items because the size is not right or if we have made a mistake with your order, you can use the prepaid return label for an easy return process. We will not deduct the return shipping costs from your refund. However, the original shipping fee will not be refunded as it has already been paid out to the courier for their services. How do i make a claim for a faulty item? In case you are in the unfortunate situation to experience errors or defects to an item bought in our online store, please make sure to file your claim within 5 days upon receiving your parcels and ship within 2 business days of the date you received approval request. Once we have received the item, your claim will be processed. Faulty items are always refunded by the full amount or you can choose to do an exchange. The time it takes for the money to be back in your account varies. By signing up for one of our customer clubs you will receive 10% off your first order. As a member you will receive emails with special offers, promotions and different coupon codes. How can i use a coupon code? If you have received a coupon code, you can type it into the “ coupon codes” field during checkout. The amount will then automatically be reduced. It is, unfortunately, not possible to use a coupon code after the order has been placed. What if my coupon code does not work? Make sure you distinguish between capital and small letters when filling in the coupon code. Also, check the expiration date of the offer. If it still does not work, please contact our Customer Service. Can i combine a coupon code with already reduced items? Unfortunately not. The coupon codes cannot be used on already reduced items. I forgot to add the coupon code to my order - what should i do? Unfortunately, we cannot deduct the value of a coupon code from an order that has already been placed. What is a 'My Account'? "My Account" is an account where you can create in our online shop to make the purchase process easier and faster. What are the advantages of having a 'My Account'? Can i order without a 'My Account'? Yes of course you can. You will just miss the benefits of having an Account, for instance you would have to fill in your delivery address in the checkout process. How can i delete 'My Account'? Yes, log in and select delete account at the bottom of the page. Please use the contact form available at Contact Us page for reaching us. Just fill the required information along with your inquiry and submit. Who do i contact for business inquiries? Who do i contact for media inquiries? 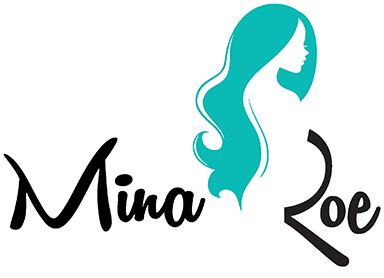 Mina Roe is an exciting new brand in the world of fashion; bringing up to date styles, chic and stylish designs to expecting mums all over the world. We believe that style doesn’t stop when you decide to start a family and being pregnant shouldn’t stop you looking fabulous! Stay up to date with all the latest Mina Roe news, offers and fashion by submitting your email below. Copyright 2019 © MINAROE.COM. All Rights Reserved. Join the most exclusive maternity club!